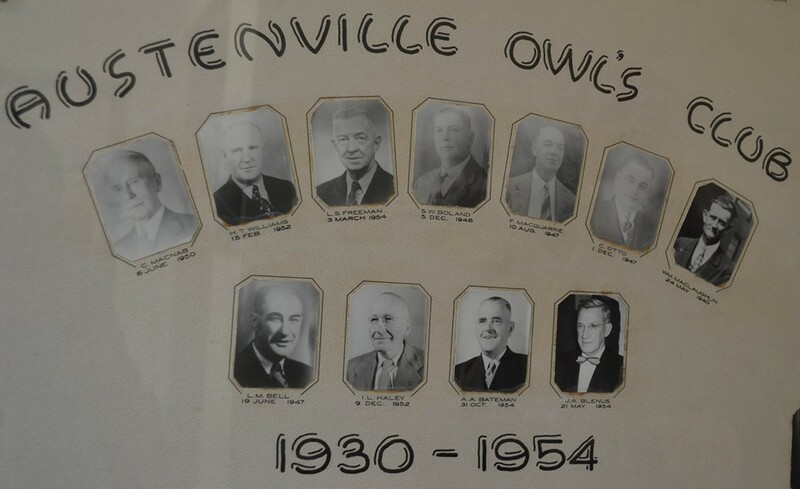 Is the Austenville Owl’s Club stuck in the past? Owl's Club member Glen Bagnell (left) and president Kim Conrad. Glen Bagnell has been a member of the Austenville Owl’s Club for 47 years. Its current president, Kim Conrad, has been a member for 15, having spent a lot of time there in his childhood with his father. The club started in the 1930s, when it was mostly an evening club for businessmen. These days, the membership is largely made up of retirees and the venue is available for the public to rent for events. 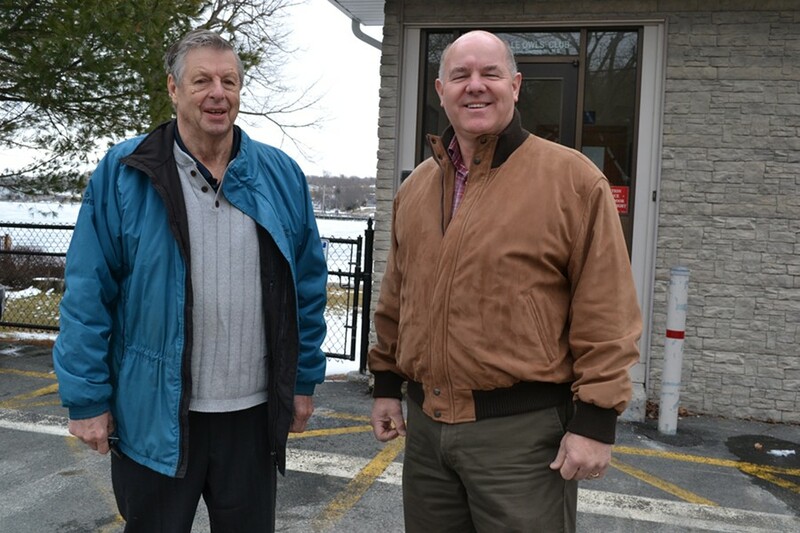 “It’s a gathering point of some like-minded people,” says Conrad, adding that they support charities such as the Dartmouth General Hospital, Bosom Buddies and the food bank. Kate Watson isn’t a member, but she says she tried to join in 2015. At the time, the Dartmouth-based writer (and past Coast contributor) was gearing up for her 2016 municipal election campaign. “I had looked around at demographics of people that I maybe didn’t know in Dartmouth and so on,” says Watson. She’d heard of the club before, having attended a friend’s birthday party at the venue 20 years ago. It came back on her radar in 2014, when there was some controversy over Joanne Bernard—the province’s minister for the status of women—holding a Christmas party there. “Here’s public funds being spent at this private club that doesn’t allow women to join,” says Watson. But when an Owl’s Club member responded by stating that women are welcome, Watson decided to take them up on that. She started asking around about how to join. According to her, it took some digging. “It turns out that everyone I’ve talked to that has joined has been asked to join,” says Watson. Potential members can’t join the nest without being nominated by an existing member. “I approached a couple people about nominating me,” she says. They told her they wouldn’t, out of fear of being “shunned” for nominating a woman. Conrad and Bagnell agree there’s a process to join the Owls, but Bagnell says “it’s fairly normal” to take such steps “in a club situation.” Without a nomination, Watson didn’t see the additional stages, but there are—well—a few. First off, the applicant in question gets a temporary “guest” membership. This is to make sure he’s actually interested in spending time at the club and taking of responsibilities such as bar duty. A home interview with the prospective member and his spouse is also required. I asked, hypothetically, what would be my first step if I wanted to join? There are no single women or men as members, says Bagnell, because it’s a “family club.” Although women take part, men are the ones who are the “dues-paying members” (of which there are 70). Watson doesn’t give a hoot about being part of the Owls now, but she does take issue with the property tax relief. The club currently has received a relief of $5,243, paying the equivalent of a residential property tax. Regional council is being asked to approve an additional $1,736, during Tuesday’s meeting at City Hall. Before granting a tax relief, the city looks at a number of criteria: Whether the applicant is a registered charity or community organization, for example. “If some people don’t like any organization putting the grants out, they should go to the city and say, ‘Well, let’s change the rules,’ then,” says Conrad.